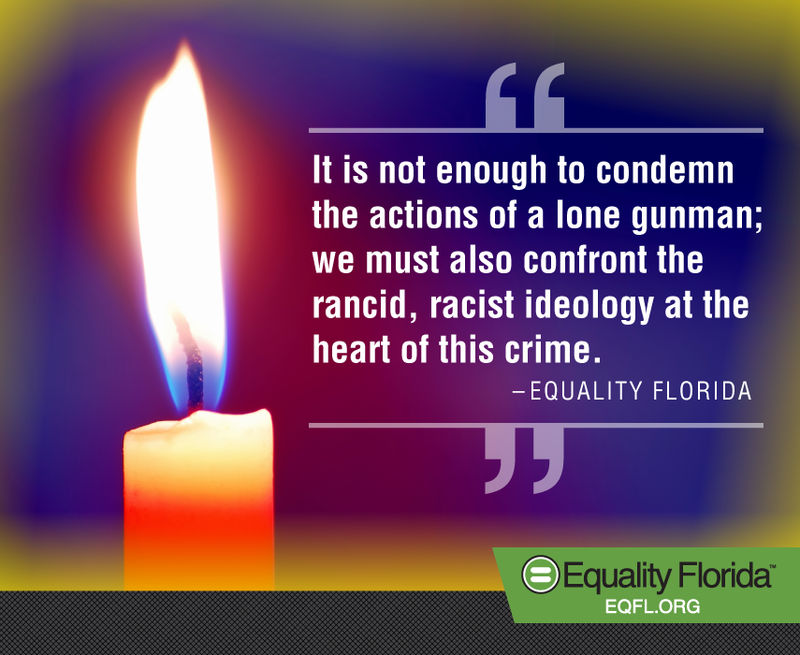 Equality Florida stands today in mourning and in outrage at the murders of nine people inside their historic African-American church on Wednesday evening. It is a hate crime that has shocked the nation and claimed the lives of six women and three men, including State Senator Clementa Pinckney. Our hearts go out to their families, friends and the entire community reeling from this brutal act of terror. It’s impossible to make sense of such a “hateful and deranged” crime, as Charleston Mayor Joseph P. Riley Jr. put it. But we must note the connection between the deed and the hateful ideas that are said to have motivated it.